Every community manager and social marketing executive essentially wants the same things: brisk and meaningful participation, a steady stream of quality content, polite but spirited conversations, the bonhomie that comes from helpful collaboration. But over the past several years, as I’ve worked with social business communities designed for customers, employees and partners, I’ve come to the realization that the quest for an engaged, participatory community is really part of a larger quest for something more fundamental. We’re all looking for loyalty. Think about it. Loyalty is the most effective driver of business success. It’s the key to sustained engagement. True loyalty transcends the fleeting, give-to-get nature of transactional relationships to create an emotional, elemental connection that remains strong even when something better is offered elsewhere. This applies to consumer and business-to-business brands alike. It applies to the relationships companies cultivate with their partners and employees. And it most certainly applies to social business networks. Look at it this way: Loyalty is what turns community members into brand ambassadors. You can’t have one without the other. This is one of the many realizations I arrived at while researching and writing my new book, Loyalty 3.0: How to Revolutionize Customer and Employee Engagement with Big Data and Gamification. Loyalty 3.0 is a guide to help companies, including community managers, foster loyalty that’s meaningful and sustainable. The book explains how companies can leverage the big data that we’re all generating, by combining it with the latest understanding of what motivates people. It then describes, using real-world case studies, how companies can use gamification – the data-driven motivational techniques from video games – to motivate engagement, participation, and true loyalty. One of those case studies in the book spotlights the SAP Community Network, which was featured here in a June 5 blog post by Jeanne Carboni. Others cover Eloqua's Topliners community, which has seen great results as outlined here, and SolarWinds' http://thwack.com community site - all of which are Jive-powered. 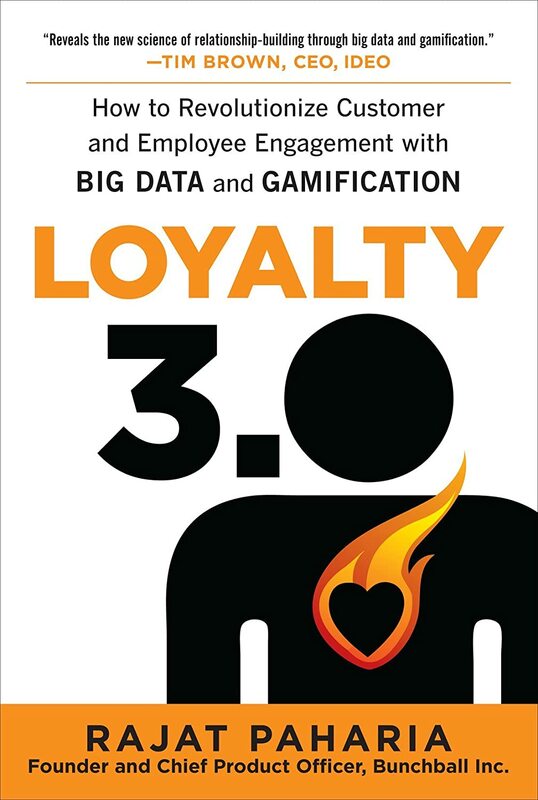 Loyalty 3.0 is available June 18 from McGraw-Hill. But by reserving your own pre-release copy today, you’ll receive several bonus items, including a chance to chat with me about how to apply the fundamentals of Loyalty 3.0 to customers, employees and partners in order to motivate them to join, participate, share, learn and collaborate more. The five intrinsic motivators that you can use to shape the behaviors of customers, employees and partners within your social business community and beyond. Why people tell you what they really want every time they take action online. Specific ways companies are using big data to drive business results – from encouraging customers to buy more, to motivating employees to work smarter. The steps every company must take to implement a successful Loyalty 3.0 program. I hope you’ll check it out. And if you do, please drop me a line and let me know what you think. Jive-powered communities are proving grounds for Loyalty 3.0 concepts, and I’d love to know how they’re working for you.